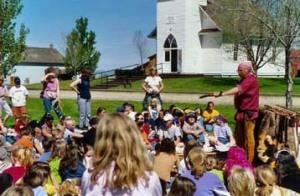 The Big Horn County Historical Museum provides a variety of educational opportunities and school programs. 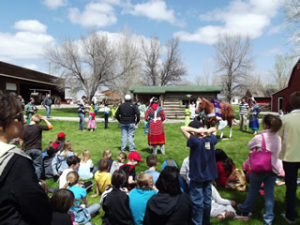 Kid’s History Day – An educational event offered annually the 3rd Thursday in May to area schools. Volunteers offer hands-on-activities geared toward 4th grade students. 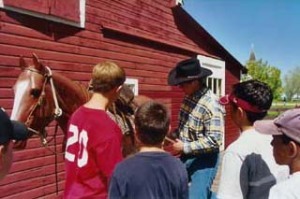 Our activities provide young people an opportunity to experience life as it was in the mid-1900s. 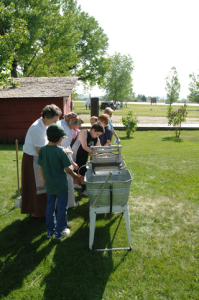 Activities include: Churning butter, Indian Hand games, quilting, rope making, cow milking, laundry, and much, much more. Due to the popularity of this event, schools are encouraged to call and make reservations to participate.